Media speculation to the contrary, school shooting incidents are not strictly a recent phenomenon. The frequency with which domestic issues spill over into schools, however, and the number of instances in which latent psychoses have triggered such violent reactions, indicate that the threat of a campus active shooter happening in any community is high. A packed conference room at the Midwest Security and Police Conference and Expo in August testified to the concern. Adding to the ranks of law enforcement in attendance were school corporation, plus college and university officials from the greater Chicago region. Moraine Valley Community College Police Chief Patrick O’Connor opened the presentation with a history of campus active shooter phenomenon. As a threat assessment trainer, O’Connor has consulted with the U.S. Department of Justice on relevant incidents and training development. “I know that as police officers we get inundated with people telling us how to handle such situations. But active shooter and armed intruder are still the worst-case scenario for students, parents and the whole community. And unless you’ve got Jack Bauer on your staff, you’re going to be stuck explaining to parents and pretty much everyone why this happened,” he said. Historically, school violence isn’t as much of an anomaly as the public might think, O’Connor added. “It just gets reposted better” now. 1927: Andrew Kehoe kills 38 school children in Bath Township, Mich. 1966: Engineering student Charles Whitman kills 16 at the University of Austin. 1998: Laurie Dann, a middle-aged woman, kills one at an Illinois elementary school. 1999: High school students Eric Harris and Dylan Klebold kill 13 at Columbine High School in Colorado. 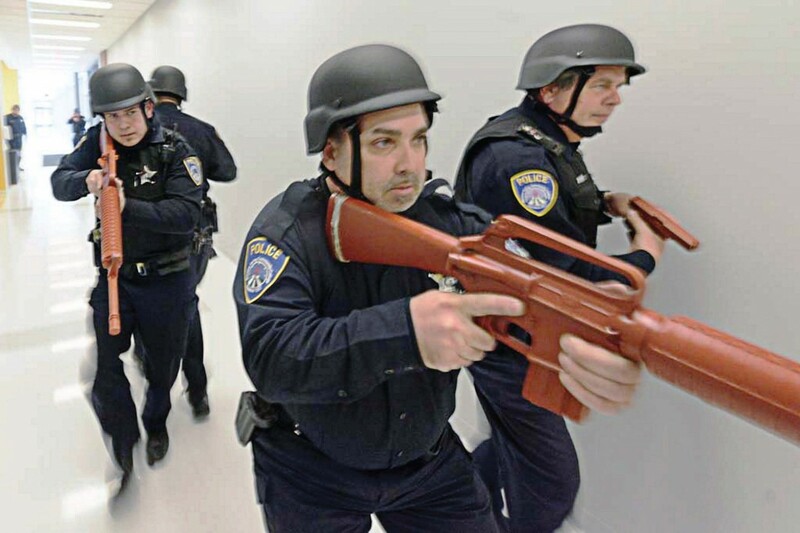 “They wrote the book on active shooters, because while the police department was being called and swat was setting up, they were inside taking out 12 students,” O’Connor said. 2007: Seung Hui Cho kills 32 on the campus of Virginia Polytechnic Institute in Virginia. 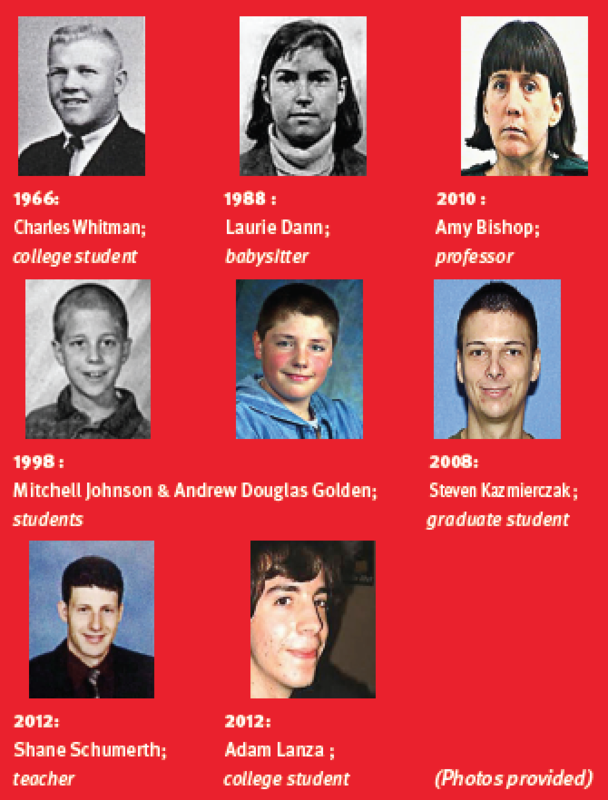 2014: Adam Lanza enters Sandy Hook Elementary in Connecticut, shoots and kills 20 students and eight staff members. Each one indicated with comments or actions that a violent act might be likely, though. Whether problems at home, social media posts, withdrawing from friends and family, instilling fear in a family member or friend, personal disappointments or previous or ongoing psycoses, indicators are really the only way to predict and prevent incidents of violence in schools and in other settings. “It’s so common, after the fact, to find out as you’re talking to school counselors and parents that there were indicators all over the place. But either no one put it together, or else no one reported,” O’Connor said. Even if they had, the dearth of mental health facilities in much of the country makes getting treatment for a loved a battle that many families and friends lose. Columbine made it obvious that instead of waiting for the cavalry, in order to survive inside an active shooting location, the potential targets have to become their own cavalry. Local police departments should be helping them do that. In some cases, though, having the public and professionals convey feelings of unease about a student or situation allows for successful intervention and even prevention of violent incidents. It’s crucial, O’Connor said, that every campus also form a threat assessment team consisting of school counselors who report potential indicators to the school resource officer and security personnel. All staff members should be encouraged to report behaviors and actions that don’t seem right to one or both parties. He noted that mandatory clear and present danger reporting requirements trump the Family Educational Rights and Privacy Act. While the school resource officer has traditionally had an “Officer Friendly” goal of establishing good relationships between students and police, adjusting that role and training the resource officer in threat assessment is far more critical, O’Connor said. Recognize where the soft spots are in your building, account for them in the plan and adjust the plan to the age group you’re protecting. Don’t forget to alert the local police department of exactly what that plan is, he reminded administrators. O’Connor also recommended that someone in the hallway of a school be equipped with a panic button. 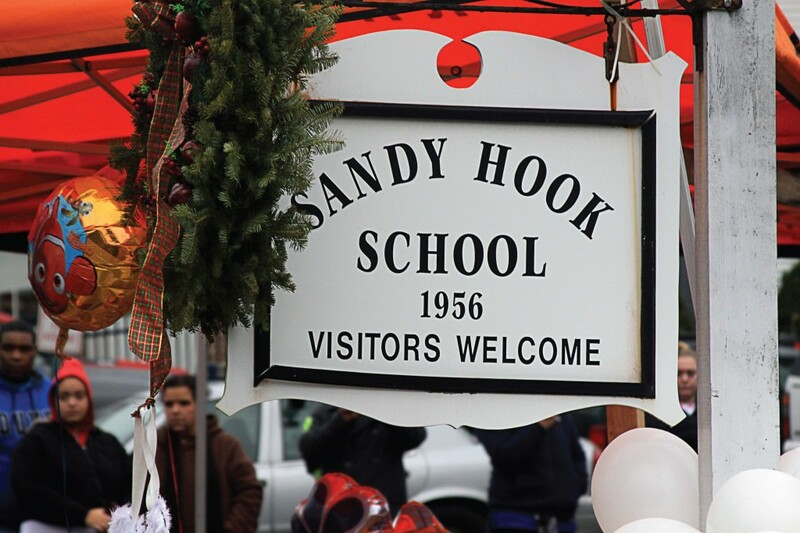 Having emergency key fobs on lanyards permits them to alert police at moments when the main office is compromised, which is precisely the situation that developed at Sandy Hook. While safety precautions have reconfigured and restricted entrance into many schools to a single point, if the shooter’s location is that precise point, a delay in contacting law enforcement results. Police chiefs should also recommend that their schools purchase and install electronic thumb locks for classrooms and install bullet-proof film on all windows. “Bulletproof film is inexpensive, it works and it can be retrofit. It slows down the shooter,” O’Connor said — buying the adult inside time to react. Lastly, administrators need to conduct emergency drills at times that are truly unexpected, in order to avoid a cattle-like response and get students and teachers to react consciously to crisis situations. Most educational institutions now have an active shooter response plan. “Shelter in place” works in most places and situations, and can be complemented with “Run, hide, fight.” The DOJ model promotes run-hide-fight, which O’Connor said works at all age levels and is simple. The alert, lockdown, inform, counter, evacuate model is useful as well. The important questions to apply to any active shooter plan is, does it account for panic? “Whatever plan you use, it must be intelligently engineered. You’re not going to get a second-grader to react they way they’re supposed to in an emergency. With older kids, though, you can do more active engagement,” O’Connor pointed out. The younger the children, the more physical barriers may need to be in place instead to slow down the shooter. Also, as part of a school’s emergency drill, all students and staff should be instructed to remain in place even after police arrive and until they are given permission to evacuate. © 2011-2018 The Municipal, A Division of The Papers Inc.